The majority of natural disasters will cause extensive destruction that harms your personal belongings, your furnishings, and the structural components of your home. If you encounter a natural disaster, there is unfortunately not much you can do to protect your personal belongings from destruction; fires and smoke, mold, and water damage and flooding each result in significant damage. Finding that your personal items have been affected by the disaster simply makes the situation worse, and most of those items can become permanently damaged if not immediately restored properly. 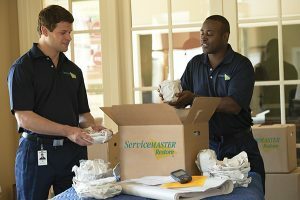 At ServiceMaster by Restoration Contractors, our disaster restoration experts are familiar with the harm natural disasters can do to your personal belongings. As part of our overall disaster restoration services, we offer thorough content cleaning and restoration for your damaged goods in New Haven, IN and the Northeastern Indiana area. Additionally, in the case that your home is seriously damaged and in need of extensive restoration work, we provide pack-out services to transport your belongings to our own facility for cleaning and storage. Personal belongings make up a significant amount of a home’s content, so it is difficult to protect those items when a disaster strikes. Whether they are clothing, jewelry, pictures, or other things, a lot of your personal items are delicate, making them more vulnerable to permanent damage. As such, they need to be tended to properly and immediately to prevent permanent damage. Right after the disaster, you need to sort out all damaged items and set them aside for our technicians. Using advanced cleaning products and restoration practices, we will thoroughly clean, deodorize, and restore any and all types of damaged items. Our technicians are trained to conduct content cleaning and restoration in your home given the proper conditions. If your home has experienced significant damage, then we use our pack-out services to take your belongings to our own facility for cleaning and restoration. If your home has undergone serious damage, deeming its condition unsafe or unstable, then your best option is to utilize our pack-out services. Such services mean we carefully pack up your belongings and safely transfer them to our facility. We keep a detailed inventory by entering each one of your items into our electronic inventory system. We print copies of your inventory list for both you and your insurance company. We bring your belongings to our climate-controlled facility where they will be cleaned, restored, and stored while your home is being fixed. We deliver your belongings right back to you following the completion of your home’s restoration. We understand how disappointing it is for your personal items to be damaged when a natural disaster occurs, and that is exactly why we are always prepared to assist you with our content restoration and pack-out services. Our technicians act immediately, setting aside damaged belongings and swiftly determining whether they can be cleaned in your home or will be cleaned at our facility. 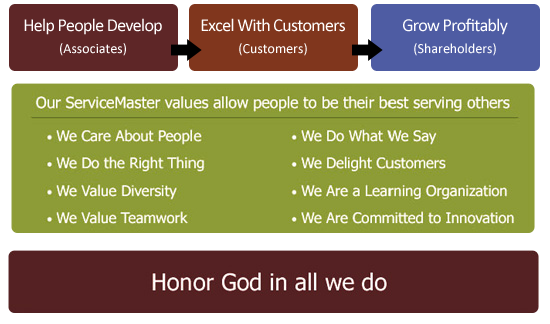 ServiceMaster by Restoration Contractors can be reached 24/7 by calling (260) 420-1502. We will provide emergency content restoration and pack-out services in New Haven, IN and the Northeastern Indiana area.